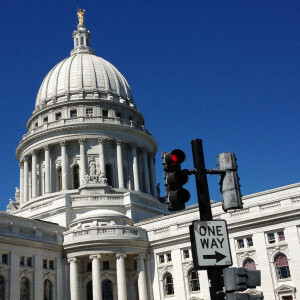 Wisconsin residents who are parents could get a tax rebate this summer, while all of the state could take advantage of a sales tax holiday in early August, under a plan announced by the governor and Assembly Republicans Thursday morning. The proposal builds on a child tax credit Governor Scott Walker proposed in his State of the State address last month. Parents could still receive a check in July for $100 per child claimed, but Assembly GOP leaders say they wanted to find a way for everyone in the state to share in a state surplus through a sales tax holiday the first weekend in August. Under the plan, purchases of up to $100 made during the first weekend of August would be exempt from sales taxes. While Assembly Republicans back the plan, it would also need the support of GOP Senators. A spokesman for Senate Majority Leader Scott Fitzgerald (R-Juneau) said he is supportive of the concept, but does not want to commit to the deal without speaking to his caucus members first. Democrats were quick to criticize the proposal as an election year gimmick, with Senate Minority Leader Jennifer Shilling pointing out that the rebate checks would go out and the sales tax holiday would take place right before the state’s August primaries. “This announcement reeks of desperation in a tough re-election year for Gov. Walker and Legislative Republicans,” she argued.